Whether you are living in the Middle East or planning an outdoor adventure to the vast and fascinating wildernesses, you have probably struggled with the decision to move from map and compass to a GPS. It is important to note that a GPS cannot fully replace traditional methods, but are an amazing augmentation for your current explorations. Most desert wanderers soon find that their smartphone GPS simply isn’t sufficient for serious hiking in Morocco or Egypt, so, fortunately, the navigation technology has stepped up to meet this need. It’s important to get a decent piece of equipment that is expandable and is able to connect to a computer for easy uploading and downloading. Size and weight are also important considerations as well. While there are many tracking devices on the market, there are three categories to consider for anyone who is looking for a handheld GPS for their next adventure – whether it is in Jordan, Lebanon, or further afield. 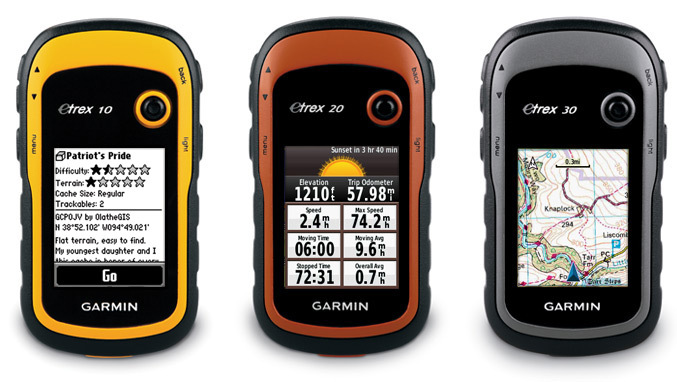 Garmin is a fantastic maker of GPS systems and their newest member of the eTrex family is nothing less than perfection. The eTrex 30x features a beautiful 2.2” screen and has a 3.7GB internal memory that can be upgraded to 64 GB with an SD card. It is Bluetooth supported, which makes it great for sharing, and waterproof for up to thirty minutes. In addition to GPS satellites, it can also connect to GLONASS which increases accuracy and usability. It would be great for hiking the undiscovered wilds of Oman. Bushnell has created a beautiful digital compass for those who enjoy a mix of the traditional and the inventive. Small and light weight, it can save three locations that you can track back to. It’s a nice, simple piece of kit that can help you find your way back to your campsite through the sand, or just from one favorite restaurant to the other when you get back to town. With even the military on the look out for portable GPS devices, the inReach is a powerful search and rescue device. With two-way messaging and interactive SOS capacity, you are always in contact with GEOS emergency personnel wherever you are. You are able to share your location with friends so they can track you from abroad as well. The most important feature is that you are connected no matter where you are – lack of mobile towers and phone service have no effect on this phone. The SE is the more basic model and the Explorer definitely steps the capabilities up a notch. With lots to consider, it is worth spending a bit of time thinking about what you intend to use the device for, so you can look specifically for features that are important to you. Be sure to check device compatibility with your planned destination.